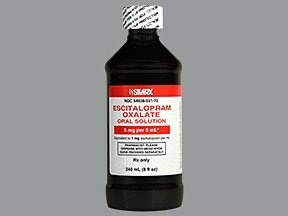 List Escitalopram Oxalate side effects by likelihood and severity. 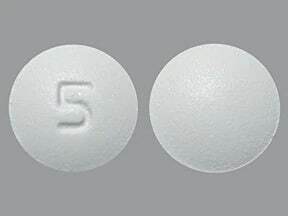 This medicine is a white, round, scored, film-coated, tablet imprinted with "logo and 10" and "5851". 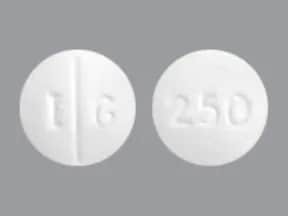 This medicine is a white, round, scored, film-coated, tablet imprinted with "logo and 20" and "5852". 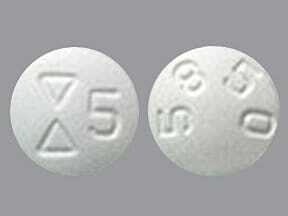 This medicine is a white, round, film-coated, tablet imprinted with "logo and 5" and "5850". 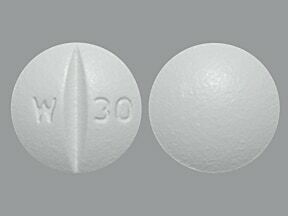 This medicine is a white, round, scored, film-coated, tablet imprinted with "W 30". 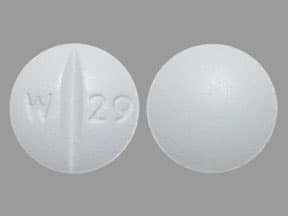 This medicine is a white, round, scored, film-coated, tablet imprinted with "W 29". 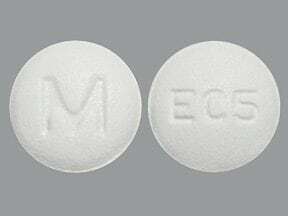 This medicine is a white, round, film-coated, tablet imprinted with "M" and "EC5". 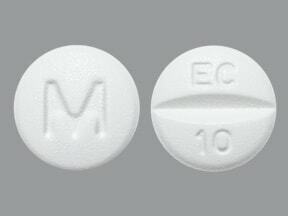 This medicine is a white, round, scored, film-coated, tablet imprinted with "M" and "EC 10". 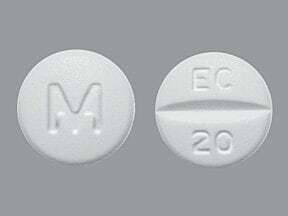 This medicine is a white, round, scored, film-coated, tablet imprinted with "M" and "EC 20". 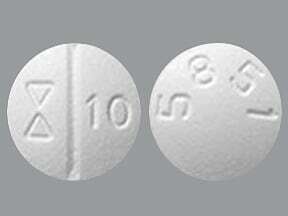 This medicine is a white, round, scored, film-coated, tablet imprinted with "11 36" and "10". 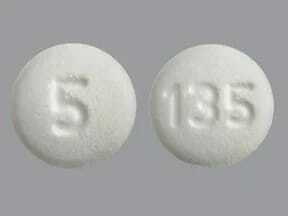 This medicine is a white, round, scored, film-coated, tablet imprinted with "11 37" and "20". 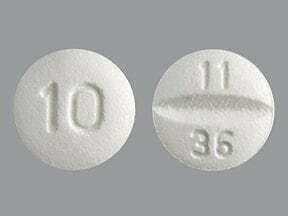 This medicine is a white, round, film-coated, tablet imprinted with "135" and "5". 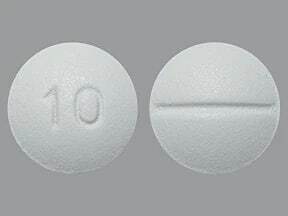 This medicine is a white, round, scored, film-coated, tablet imprinted with "10". 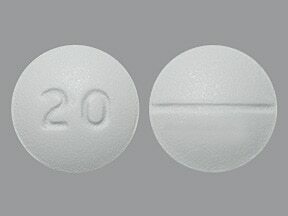 This medicine is a white, round, scored, film-coated, tablet imprinted with "20". 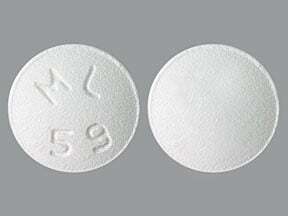 This medicine is a white, round, film-coated, tablet imprinted with "ML 59". This medicine is a white, round, scored, film-coated, tablet imprinted with "ML 60". 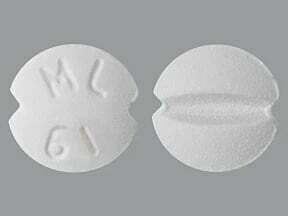 This medicine is a white, round, scored, film-coated, tablet imprinted with "ML 61". 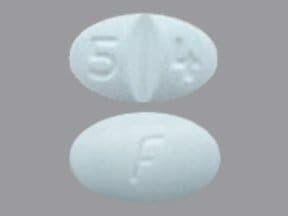 This medicine is a white, oval, scored, film-coated, tablet imprinted with "F" and "5 4". 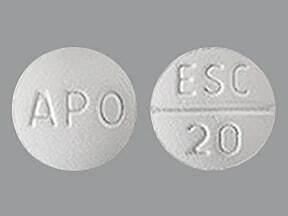 This medicine is a white, round, scored, film-coated, tablet imprinted with "APO" and "ESC 20". 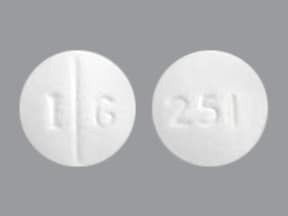 This medicine is a white, round, film-coated, tablet imprinted with "IG" and "249". 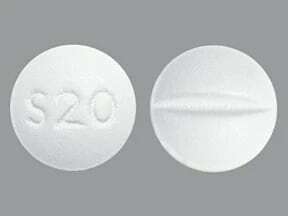 This medicine is a white, round, scored, film-coated, tablet imprinted with "I G" and "250". 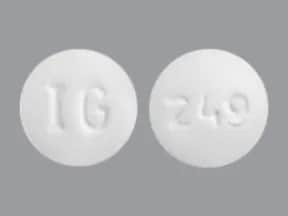 This medicine is a white, round, scored, film-coated, tablet imprinted with "I G" and "251". 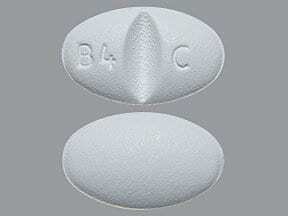 This medicine is a white, oval, scored, film-coated, tablet imprinted with "B4 C". 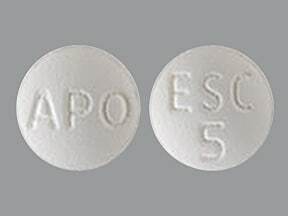 This medicine is a white, round, film-coated, tablet imprinted with "APO" and "ESC 5". 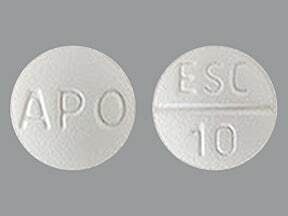 This medicine is a white, round, scored, film-coated, tablet imprinted with "APO" and "ESC 10". 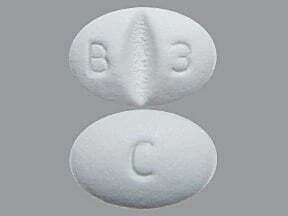 This medicine is a white, oval, scored, film-coated, tablet imprinted with "B 3" and "C". 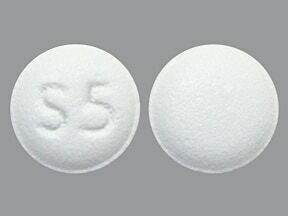 This medicine is a white, round, film-coated, tablet imprinted with "S5". 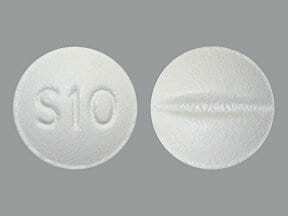 This medicine is a white, round, scored, film-coated, tablet imprinted with "S10". 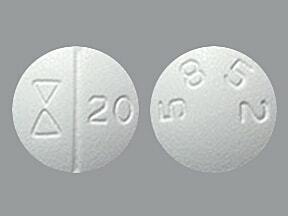 This medicine is a white, round, scored, film-coated, tablet imprinted with "S20". 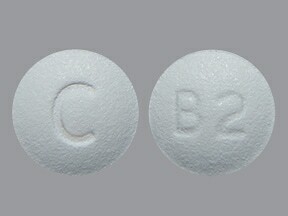 This medicine is a white, round, film-coated, tablet imprinted with "B2" and "C". This medicine is a white, oval, scored, film-coated, tablet imprinted with "F" and "5 6". 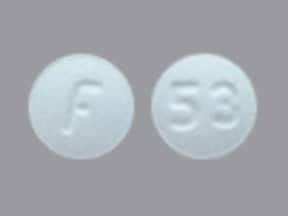 This medicine is a white, round, film-coated, tablet imprinted with "F" and "53". 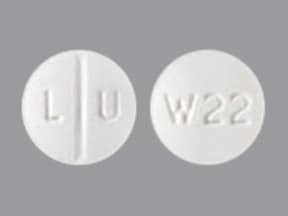 This medicine is a white, round, scored, film-coated, tablet imprinted with "L U" and "W22". 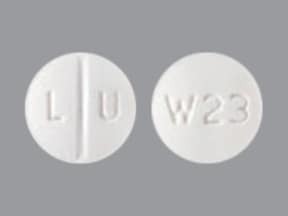 This medicine is a white, round, scored, film-coated, tablet imprinted with "L U" and "W23". 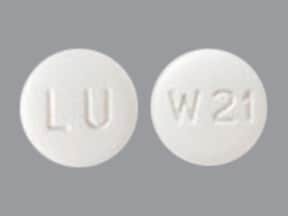 This medicine is a white, round, film-coated, tablet imprinted with "LU" and "W 21". 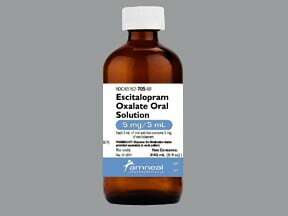 Are you taking Escitalopram Oxalate? 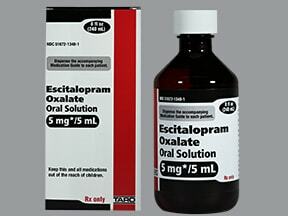 Are you considering switching to Escitalopram Oxalate? 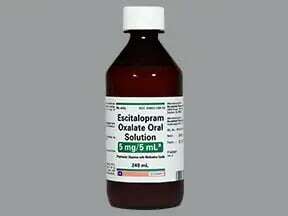 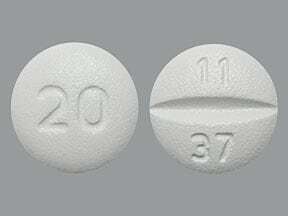 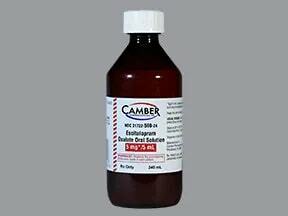 How long have you been taking Escitalopram Oxalate?